I have been working hard on creating our new forums. Come check it out and discuss everything from pre-med topics to preparing for your COMLEX and beyond! We are proud to be your place for osteopathic medical discussions. We just added the average GPA and MCAT scores for NYCOM‘s class of 2015, and PNWU’s MCAT’s and GPA’s for the classes of 2012-2015. We also have been searching to make sure you have the most up to date information on all the schools out there. Please check out our MCAT and GPA section here on OMS. Most people that go to medical school follow a similar pattern. Majority of my classmates went through their undergrad courses and mixed the pre-med courses into their majors and minors. I, however, didn’t do that. When I started going to college I was already 21 years old. After high school I lived in Hokkaido, Japan, for two years. After that I came home and started school. I always felt that I wanted to work in the medical field, but I wasn’t sure what level I could handle. Undergrad had its ups and downs, fortunately more ups, By the time I applied to medical school I was 27 years old and we were expecting our second child. These are just a few of the things that I have had the pleasure of navigating. Sometimes I’ve been more successful than others, and hopefully my experiences will give you some insight that I wished I had access to. I’ve been in medical school now for a few years. I think it’s time I share my whole story. I am gathering my thoughts now and will start to share my experiences over the next while here on the under used blog portion of my site. Med school isn’t easy and has it’s ups and downs. I hope that as I share my thoughts and feelings that they will be useful to some of you out there. 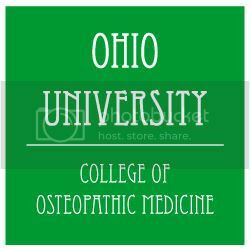 We recently added a section about osteopathic principles. It is a quick article that will help someone learning about osteopathic medicine understand the underlying principles that a DO learns and takes into account when treating a patient. The newest addition to MCAT and GPA stats is another Touro school. 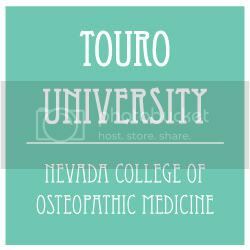 This time we just added averages for Touro University Nevada College of Osteopathic Medicine (TUNCOM). Take a quick look at TUNCOM’s MCAT and GPA stats. 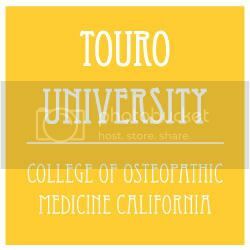 I just added MCAT scores and average GPAs for students starting at Touro University College of Osteopathic Medicine in California (TUCOM-CA). On their site TUCOM provides brief class profiles for the classes of 2011 and 2012. I like when schools give a year to year update of their stats. It lets you see that schools are quickly becoming more and more competitive. Take a quick look at TUCOM’s average GPA and MCAT scores and see how you compare. We just added the most recent MCAT scores for the Chicago College of Osteopathic Medicine that we could find. 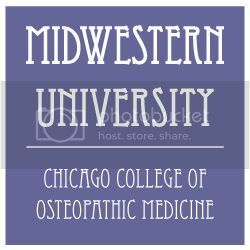 Midwestern University is a quality school and you should take a good look at their high first attempt performance on the COMLEX when considering applying to osteopathic schools. They have a great reputation. Again OMS has been busy finding more MCAT and GPA information for another osteopathic medical school. Today’s school is the Western University – College of Osteopathic Medicine of the Pacific. WesternU-COMP provides a list of the most recent matriculated classes MCAT and GPA statistics. Take a quick look and see what they had to say.